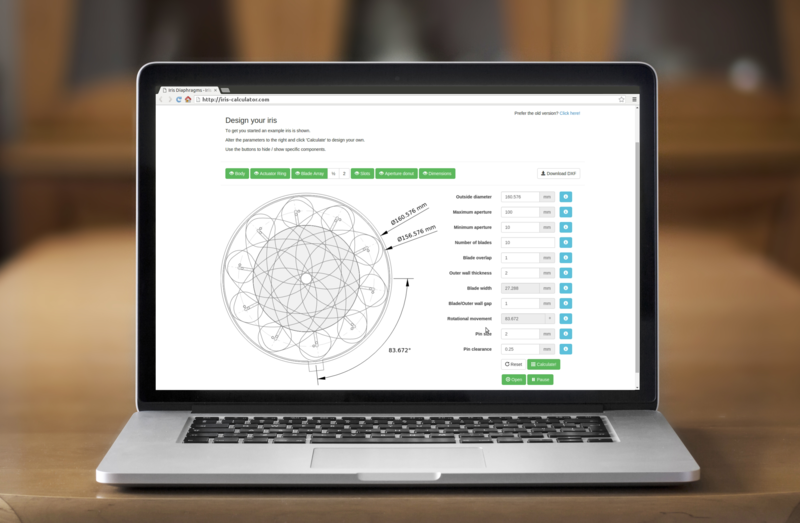 Iris Calculator is a web-based app for helping create mechanical iris diaphragms. It enables you to work through multiple design iterations in an instant, taking all the pain away, and saving you countless hours of design time. 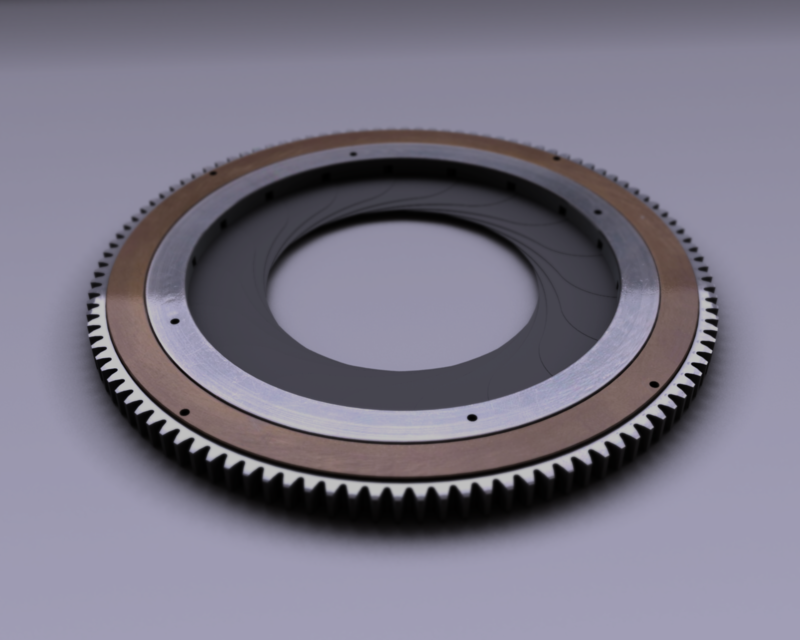 Alter dimensions and refine elements of your iris mechanism on the fly. Turn components on/off, and operate the iris diaphragm in real-time. Then easily export the iris components as DXF files, to extrapolate and finalize your design. Simply enter any dimensions you know - along with your minimum and maximum apertures - and the rest of the geometry will all be calculated for you!